Feast your eyes on that gorgeous signature! I realize it’s been a bit silent around here these past few days and I apologize, but I have been busy. Remember that Facebook party I was talking about? Well, we now have 11 awesome YA authors lined up for fun and games on the 25th, not two mention two giveaways going on now! Sadly, not signed, but brand new. Look, it’s even shining in the photo. 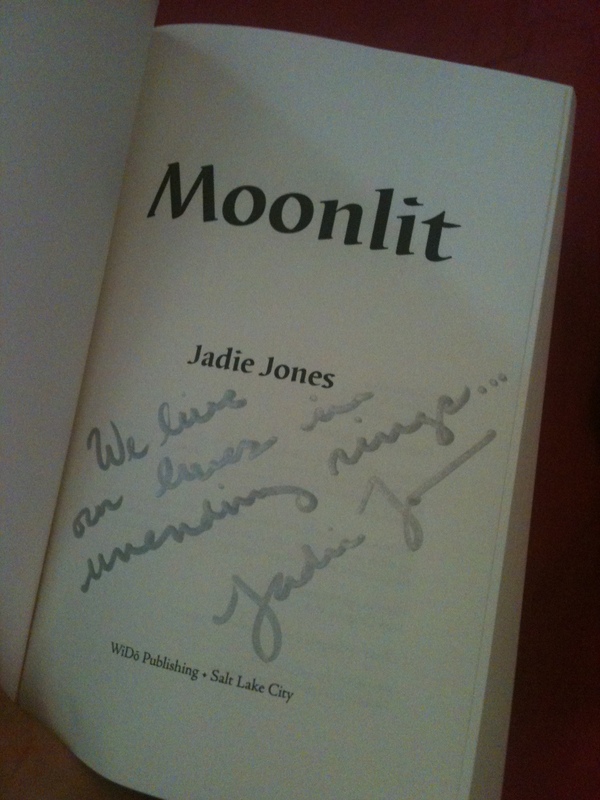 The first giveaway is for a signed copy of Jadie Jones’ Moonlit to whomever can bring in the most people to the event. 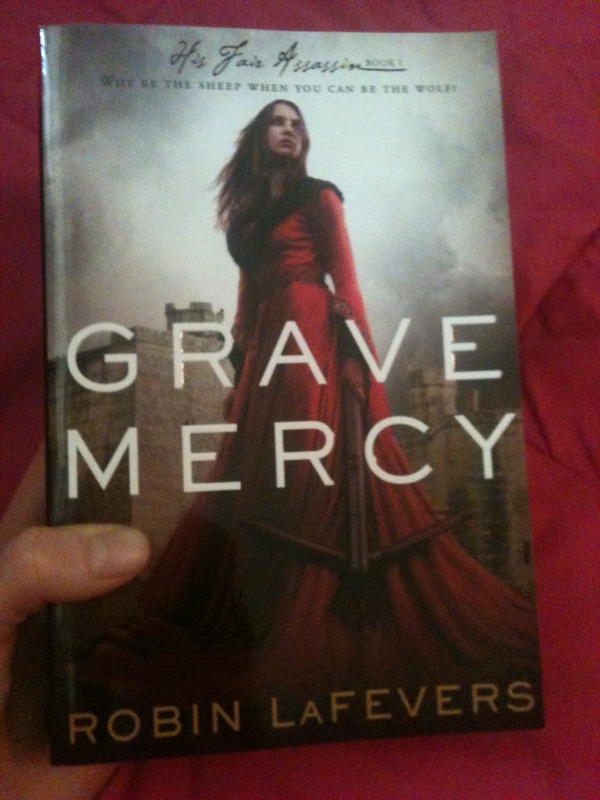 The second is a random drawing once we reach 250 attendees for a shiny new copy of Grave Mercy by Robin LaFevers or, for guests outside the US, the eBook of your choice up to $4.99. You can check out the lineup and times of authors below and find the event here. So invite lots of people, tell lots of people, and don’t forget to join yourself for the chance to win! Did you get new covers for your series? I haven’t read these yet! I’d love to be at the Facebook party but I’m locked out of my account due to someone hacking it. Will take time to straighten it out. All the best for all of the authors! I loved Moonlit and Grave Mercy. Great giveaways! It really is a shame about your account. 😦 I hope you can still join us! I loved Moonlit and can see that copy sitting on my bookshelf. 🙂 I shall try to be there.